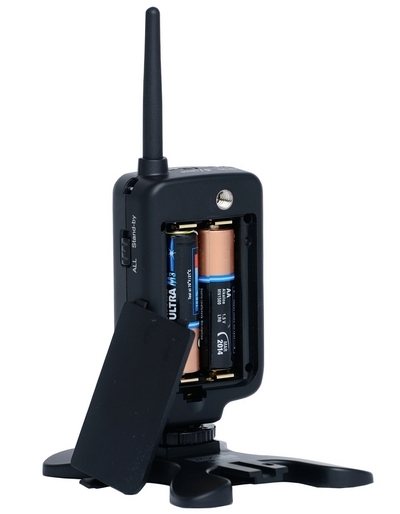 The Pixel Opas is a transceiver-based wireless flash trigger which looks similar to the popular Phottix Atlas. How does it fare in our review? 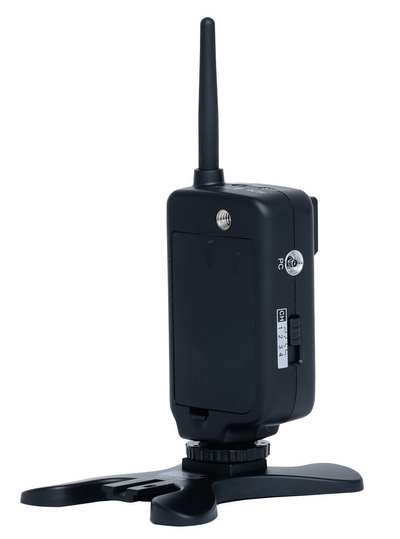 The Opas is a transceiver-based wireless flash trigger from Pixel Enterprise. It has a similar form factor to the Phottix Atlas, Aputure Trigmaster Plus and PocketWizard Plus II – a high-profile unit with a pointy aerial. 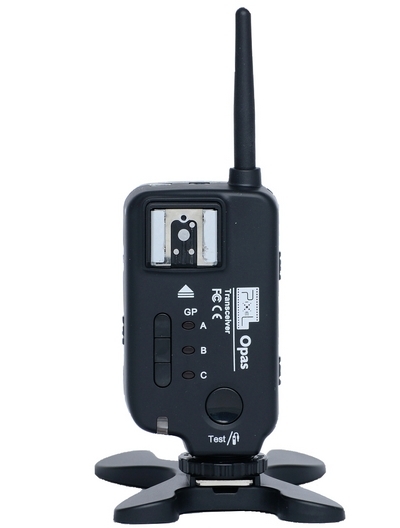 Unlike the Atlas and PocketWizard however, this remote uses the licence-free 2.4GHz frequency, allowing it to be used without restriction anywhere in the world. We were sent a set of three pre-production Pixel Opases for Nikon. The Opas has a very easy to use interface. Channels are chosen with a switch on the side, while groups – useful for selectively testing flashes – are controlled by buttons on the front. Crucially, the Atlas, Trigmaster Plus and Plus II lack any kind of wireless flash grouping, so if you want this feature in this kind of transceiver, the Opas could be for you. Indeed, the easy groupings on the Opas mean I have been using them in place of my Atlases for recent photo shoots. When pressing the test button halfway (or pressing your camera’s shutter halfway) the trigger detects it, sending a signal (indicated by a blue LED lighting up) to all the triggers, showing you they are ready and the flashes are woken up. 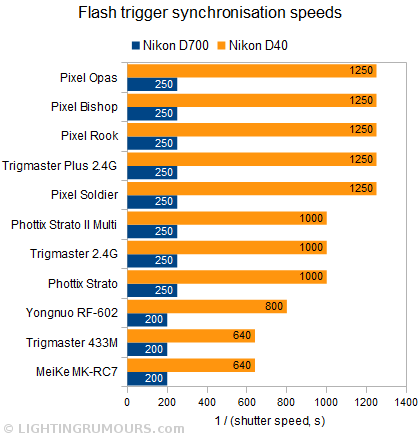 We tested the shutter release function successfully with a Nikon D700. One of our pre-production units had a test button that didn’t work, but this shouldn’t be a problem you’ll encounter in the latest retail models. For sync speed, the Opas is among the fastest triggers we have tested. On the Nikon D40, which has an electronic shutter, we reached 1/1250 second maximum shutter speed for synchronisation. One of the unique selling points for the Opas is its compatibility with Pixel’s King TTL trigger. Using the two together allows photographers to combine manual and automatic flashes. It is also reported that the Opas will support manual high speed sync when triggered by a King transmitter. Much of the size of the Opas can be attributed to the battery compartment, which takes two AAs. But the external aerial adds the even more height, with the potential to cause problems mounting on speedlight softboxes such as the Aurora Firefly. The shape of this trigger isn’t really designed around using the hotshoe, so you might be better off using cables and lanyards. As well as AAs, you can also power the Opas by way of the mini-USB port on the side. A mobile phone charger or a laptop and a suitably long cable will allow you to integrate the Opases into your studio without having to worry about batteries. The Pixel Opas is a very capable wireless flash trigger, but arguably geared more towards photographers using studio flashes than speedlight-toting strobists. Photographers seeking to mount a flash and trigger on their camera simultaneously will be disappointed with the lack of TTL pass-through, and may be better served by the Ojecoco H-430. On the other hand, if your trigger wishlist includes AA batteries, super long range and external power input, along with wireless flash grouping, then the Pixel Opas is surely worth a look. The Pixel Opas costs US$75 (£48) per transceiver and is available on eBay. In France, they are sold by Lovinpix for €74.90. For more information and full technical specifications, please visit the manufacturer’s product page. There is also an Opas for Canon.